The World Wide Web is an opportunity for people all around the world to start almost any kind of business that they could think of. Online casinos are some of the most profitable and entertaining business ideas out there, and nowadays, the number of internet gaming sites has increased considerably, along with the numbers of players. More than that, casino software development companies are everyday creating new games and solutions for entrepreneurs who want to open online casinos, so it is easy to find a solution that is suitable for your own needs and budget. But starting an online casino is a process that requires several steps, and some of them are extremely important. 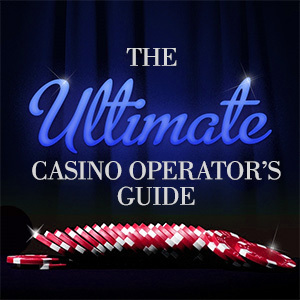 Since this can be considered a gambling business, legal matters are almost always involved, so operators might like to be informed about what they have to do, in order to run a legal casino. Furthermore, choosing the perfect games can be a tedious process for entrepreneurs who want to start a gambling business, but are not completely familiar with the most requested gambling games. Online casino marketing is also an essential process, because it makes the casino visible to the world. The gaming providers at our casino software development company, CasinoWebScripts, have come up with a series of solutions and essential pieces of advice for entrepreneurs who want to start an online casino, but who still need to figure out certain aspects about how to get their money’s worth when investing in this kind of business. The first, and maybe the most important step when opening an online casino, is that you have to choose whether your casino will involve real money or digital money transactions. The difference between these two is enormous, due to the fact that operators who want to start an online casino with real money have to obtain an online gambling license from a central authority. A lot of jurisdictions around the world have not regulated online gambling yet, but operators can open an offshore gambling website in a country that caters to the online gaming industry. If you want to open an online casino in the Asian gaming market, you can do so by obtaining a license in the Philippines. Gaming insiders said that a license with First Cagayan, the first and only gaming jurisdiction in Asia, is really worth the money. They also offer a favorable tax system for offshore operators, and their high-speed internet and solid infrastructure attracts gambling entrepreneurs from all around the world. A license from First Cagayan is a little more expensive than in other jurisdictions, but it will sure be worth it. If you seek to start a gambling site in Europe with our casino software development company, you have a wider range of options. The European jurisdictions that currently offer gaming licenses to online gambling firms are: the United Kingdom, Gibraltar, Isle of Man, Malta, France, Spain, Italy, Denmark, Belgium, Alderney and States of Jersey. Gaming operators who seek a premier online gambling license usually choose the United Kingdom license, since it offers reasonable tax rates for premium services. When it comes to opening an internet casino in North America, you can opt for a license in Nevada, New Jersey, Delaware, Panama and Kahnawake. In Costa Rica, there is currently no specific legislation that regulates online gambling, so companies are self-regulated and conduct gambling operations without a gaming license. New Jersey, Nevada and Delaware have legalized online gaming in 2013, but, up to date, they only offered a limited number of gambling licenses to casino firms. South American online gaming operators have the possibility to open a casino with a gambling license obtained from Antigua or Curacao. Antigua is considered a lucrative option due to its lack of market restrictions and proper support from the authorities, but its license price can be a little high. Curacao is considered a more reliable option, thanks to the low tax rates it offers. Australia also offers a few gambling license opportunities, which include those that can be obtained from Australian Northern Territory, Vanuatu and Australian Capital Territory. The most decent of them is said to be the Australian North Territory, since it provides lower tax rates than the others, and proper infrastructure. If you want to start an online casino and not spend a lot of money on the licensing process, you also have the possibility to use cryptocurrencies as payment method, with no license needed. In 2013, the popularity of cryptocurrencies exploded, and gaming operators and casino software development companies learned that they can develop online casinos without the need of a gambling license. Bitcoin, Litecoin, Peercoin, and even Dogecoin or CasinoCoin are some of the digital currencies that made their mark on the World Wide Web. By definition, gambling means “playing games of chance for money”, so since there is no real money involved, no gambling license has to be obtained either. Cryptocurrency transactions can be conducted from all around the world, and they are no subject to taxation. After deciding whether you want to open a real money or cryptocurrency casino, you can purchase our casino management software platform. Here, you will have full control over your business: you will be able to edit several features of the games and, once your casino is up-and-running, you will see statistics regarding your profit, payout percentage and many more. We are aware of the fact that many operators today are frustrated with the fact that opening an online casino can be extremely expensive, so we decided to offer them a unique no-monthly-fees solution. This means that, if you purchase our games and software, you will not have to pay fees for using them. The next big step is choosing the first games for your online casino. Our casino software development company offers more than 130 games, suitable for players from all around the world. People from various parts of the planet have different tastes when it comes to gambling games. It is important to choose the right games if you want to cater to certain players. For example, if you want to open an online casino for gamblers in Asia, you can choose from our games inspired from the Asian Culture. Sic-Bo, Baccarat, Fish Prawn Crab and Shanghai Keno are only some of the games that are played in China, Vietnam, Japan, and especially in the luxurious casinos of the world’s most profitable gaming hub, Macau. Online slot games are also popular among Asian players, and we have a wide range of slots for you to choose from. Path of the Ninja, Rise of the Geisha and Chinese Zodiac Slot are just some of our most exciting titles. If you would like to open an online casino for players in Europe, you can choose from our variety of card games, roulettes, slots and arcade games. Poker and European Roulette are among the favorites of Europeans, but slots are definitely the most popular. Slot themes like racing, food, Christmas, love, sports or mythical characters are perfect for a casino that will cater to European players. Titles like Olympus Challenge, Viking Story, Archer of Slotwood, Count Dracula, Reel Cuisine, Caesar Supremacy and A Knight Sword are only some of the games that remind one of the great legends, traditions and stories from Europe. American players are also fans of roulette, table games and slots. Blackjack, Baccarat, Poker Texas Hold’em, Caribbean Poker and American Roulette are some of the most enticing games that can be found in Las Vegas casinos, and not only. American players will surely enjoy the slots that can also appeal to European and Asian players, but a few titles like Trick or Treat II, Pirates of Bonus Island, Super Soccer Star 2, Ahoy Pirates, Old McDonald Farm II, Country Cash, Los Ganadores, Golden Aztecs and SuperHero Reels will draw the attention of both North American and South American players. If you prefer to offer your customers a little more heart-pounding action, you can choose from our racing games: Lucky Derby Horse Race, Ultimate Greyhound Dog Racing, Speed Racers Car Race and Thunder Monkeys are our state-of-the-art arcade games that can make your casino a complete and adrenaline-filled solution for any players out there. Once your online casino is launched and ready to accept players, you can start a marketing campaign that will help create a good buyer-seller relationship. Press releases and social media will play a big part in how popular your casino will become. Our casino software development company’s marketers suggest that by submitting interesting press releases about the games and promotions you provide, you will catch the attention of bloggers and journalists, the ones who can really make your casino viral. Then, new players who come to your casino should be awarded bonuses for playing for the first time. Those who will become loyal customers should also be rewarded accordingly, and a VIP program that includes points for players that wager high amounts of money should be included in your casino. Social media platforms like Facebook, Twitter, LinkedIn, Instagram, Google+, MySpace and others are perfect for promoting your casino through online casino marketing. They do not require any fees or taxes, so you can always create events on Facebook or post bonus codes on Twitter that will attract your clients. Posting pictures and videos of your games on social media sites like YouTube, Instagram or Pinterest will also make your casino credible and will increase its popularity. Furthermore, once people know about your casino, they will start talking about it. Blogs and forums are the virtual places where people give their sincere opinion about your site, so you might like to keep an eye on what they say and even participate in conversations. Another important aspect that can differentiate your casino from other gaming sites is writing interesting content. You can always start a blog where you can offer advice for your players about how to play your gambling games, or even present stories of players who won grand prizes at your casino. The blog should redirect the players to your casino, but it should look a little different, so the two do not get confused. By directly speaking to your customers about what they really are interested in, you will surely make them come back for more. Email marketing is another important tool, since you can offer bonus codes or promotions and present your new games in a facile way. For example, you can send emails to your players to reward them on their birthdays, or present the latest games that were added to your casino. The online casino industry can provide a wide range of benefits, so we care about and enjoy offering our customers complete and innovative solutions that will help them make their mark on the gambling scene and get them ahead of the competition. To help you start an online casino using our products we have prepared some special starter packages.